Diabetes has come to be regarded as a major public health problem today which keeps affecting huge segments of the population groups all over the country. Faulty dietary practices, sedentary lifestyle and increased urbanization have compounded the problem further, as the complications of the disease mitigate the quality of life of people. Sadly, the progression of diabetes in the country continues unabated and this is a matter of grave concern. Also, more and more people keep falling prey to this malady every year and their plight adds to the already existing disease burden in the country. 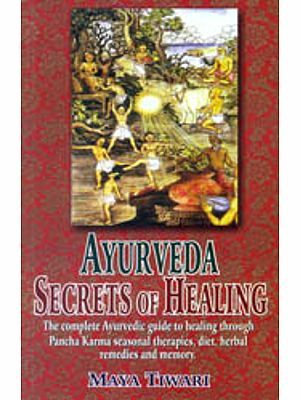 This book was meant to help those with impending diabetes as evidenced by impaired glucose tolerance and also those individuals with established diabetes. While improper diets over the years contribute to the onset of type 2 diabetes mellitus, it is also the key determinant of the process of disease once it sets in. Medical world regards diabetes as a metabolic derangement and not a disease per se. It is often the long-term complication of this metabolic change which leads to morbidity and mortality. Changing lifestyles, overweight and obesity, impaired glucose tolerance, diabetes, hypertension, cardiovascular disease, cerebrovascular disease, end stage renal disease, peripheral vascular disease constitute a spectrum of morbidities which can be prevented or delayed with a proper diet and drug regimen. A good reference point for adequate control is the average blood glucose levels. Currently, HbA 1c is recommended as an indicator of long-term glucose control and a level less than 7.0 g/dL is considered to be associated with lower incidence of complications. Dietary regimens are meant to retain the pleasure of eating food and simultaneously lower the glucose load in the body. The availability of sugar substitutes or artificial sweeteners in the market has enabled those with diabetes to enjoy their favourite foods without much concern or guilt. Diabetic diet is not only about glucose control but also targets lipids in the blood. The major morbidity in diabetes arises due to narrowing and blockade of blood vessels in several major organs like the heart, brain, kidneys, limbs etc. In recent years, scientific advances have identified several non-nutrients in plant foods and spices with potent antioxidant and anti-glycation properties, which if judicially used, could significantly contribute to reduced risk of complications. The concept of glycemic load or glycemic index helps nutritionists and clinicians to offer a choice of relatively low glycemic foods, fruits and cereals. In totality, diabetic diets or dietary recommendations offer a wide choice of foods which continue to provide health options to diabetics without compromising on taste. Appropriate physical exercise is considered to be a vital part of diabetes management. It is ultimately a combination of diet, medicines, exercise and healthy lifestyle which determine the long-term outcomes. We fondly hope that this book will help people deal with diabetes more effectively, by tuning in good health with proper nutrition. 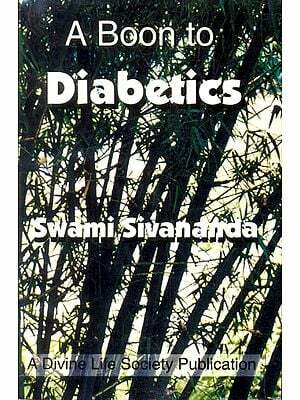 Diabetes mellitus or “madhumeham” has been known for centuries as a disease related to sweetness. 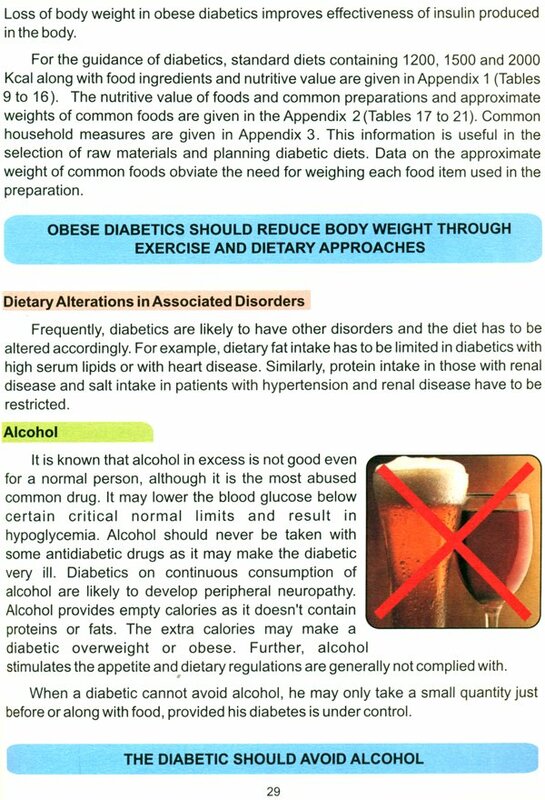 Persons with diabetes have excessive sugar in blood and urine. However, there is no need to worry, since diabetes can, fortunately, be kept under control with certain changes in the lifestyle-diet, exercise and regular intake of prescribed medicines. Even though several million people all over the world are affected with diabetes, not all are well informed about the nature of the disease.